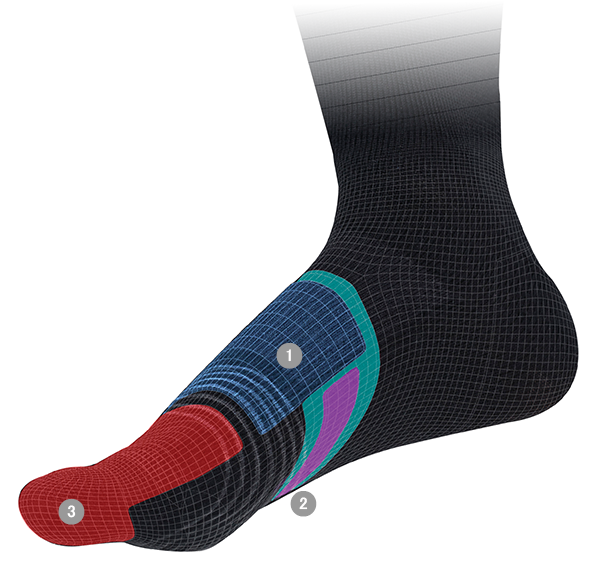 Integrated dot pattern provides added cushioning over the top of foot. 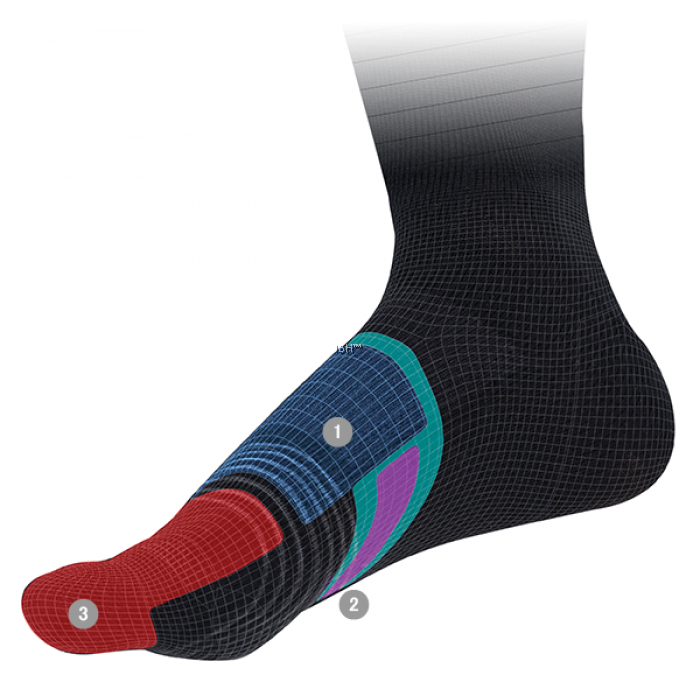 Knitted anti-slip heel is System Engineered to work with S-PHYRE footwear. Left and right specific ventilation channels. Thin mid-foot knit area for direct feel. 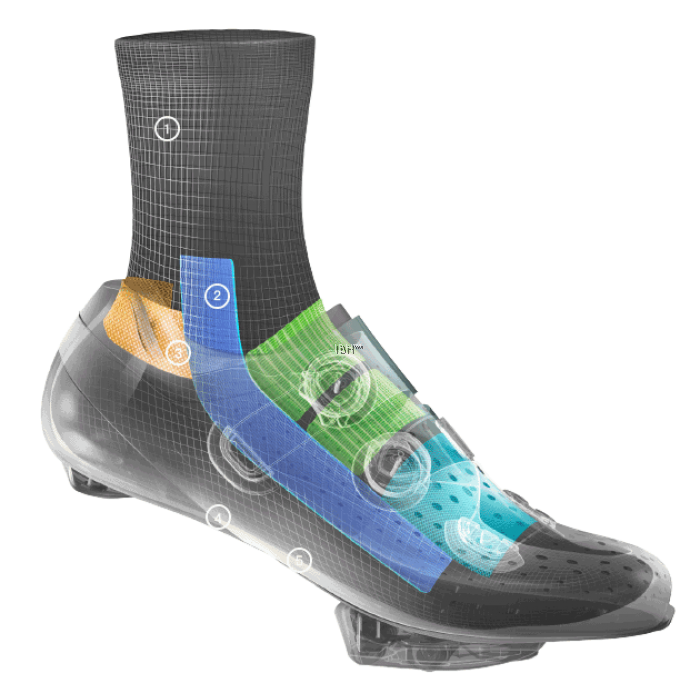 Integrated sole ventilation for heat dispersion. All socks are the same, right? But what if a sock could make a shoe better? S-Phyre believes it can. 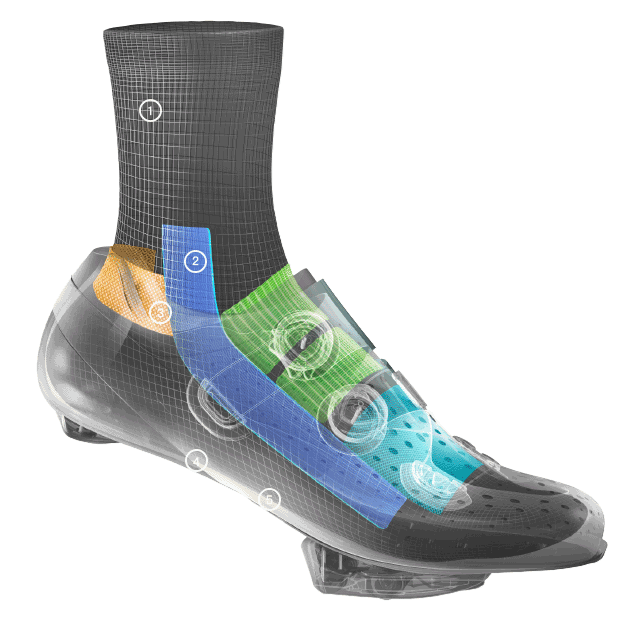 By looking at the shoe/sock interface and applying Shimano's Linkage Effect approach, S-Phyre socks combine thermoregulation, comfort, ankle roll stability and heel slip-resistance with an extra-tall cuff that is guaranteed not to droop. 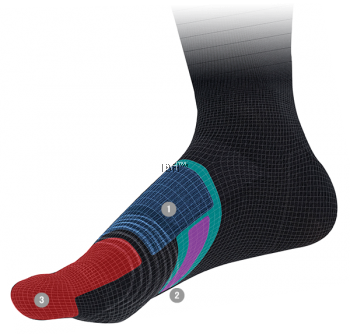 Asymmetrical structural weaving of proprietary fabrics provides guiderails for proper foot alignment through the entire 360-degree crank rotation. And you thought a sock was just a sock. By the way, they look great with S-Phyre shoes, and work even better too. 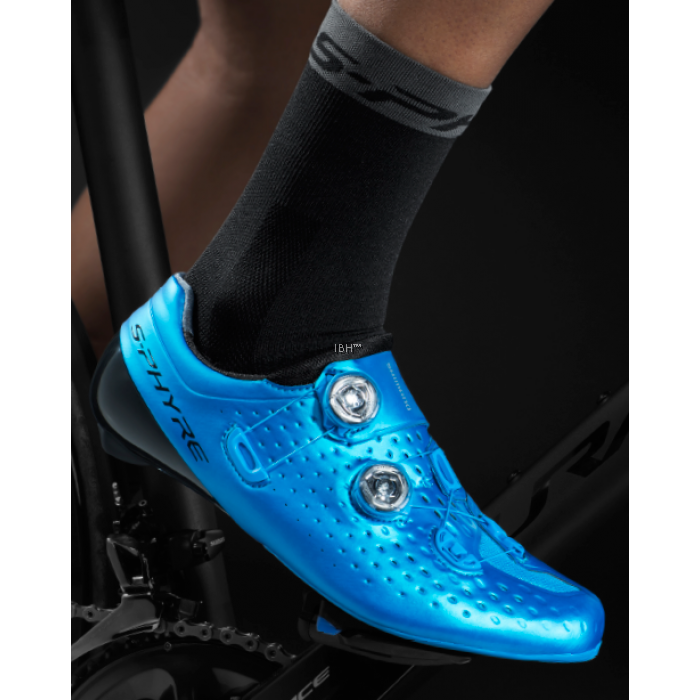 Designed and constructed to promote efficient pedaling, the ankle angle is held in an ideal position. 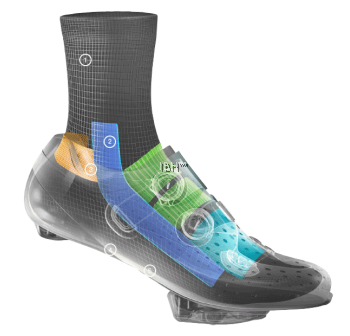 Part of the S-PHYRE shoe + sock integrated system. 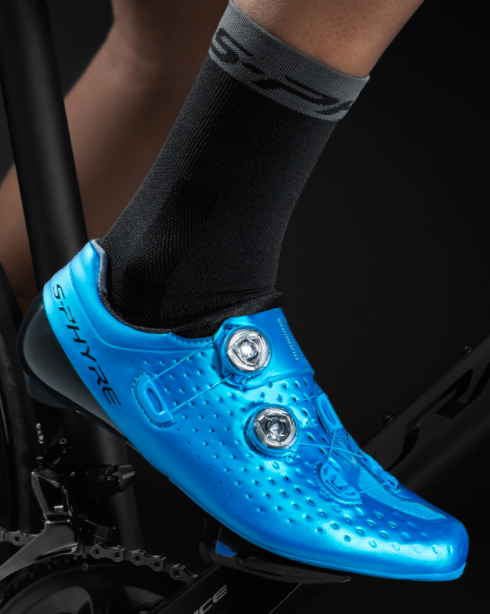 Woven-in ankle guides ensure efficient pedaling rotation. 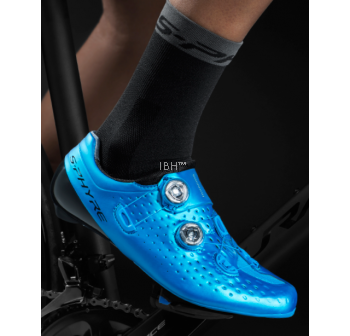 Sole ventilation for comfortable riding. Strategic structural design. Cushioned for comfort in pressure areas with thinner underfoot breathable panels to aid in temperature control.